The season kicks off with the Spring HJ Show. A full offering of Hunters, Equitation and Jumpers featuring the Hunter Derby on the European Geo-Textile footing! Join us for the traditional opening weekend of our off-road trails! The pleasure ride will begin Friday with a Trailer Ride adventure: off site at a nearby location to be announced. Saturday and Sunday depart from and return to the GMHA grounds. Each day will feature a different marked trail with short and long mileage options. Three days, four rings, all levels! We’re hosting Intro through Grand Prix classes, including qualifiers for all national programs. 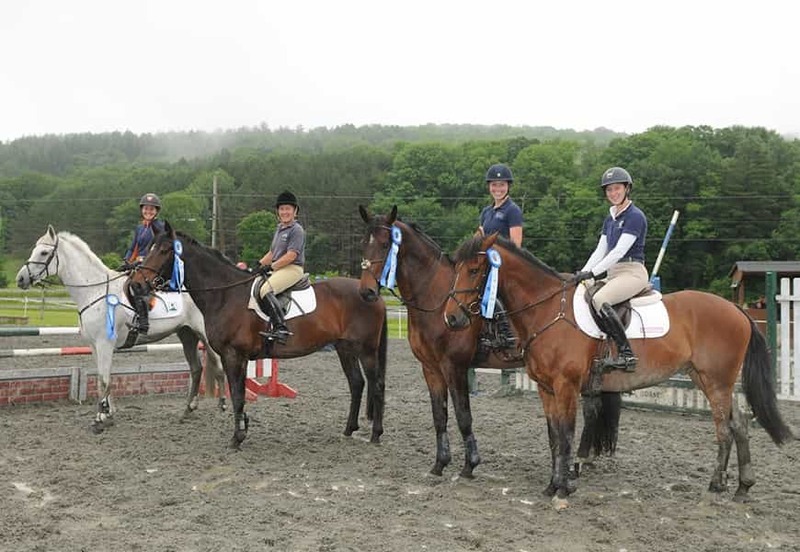 Join us for one of New England’s premier dressage competitions. The day is long and the moon is full. Come to GMHA for a cool evening ride. Finish by dark and enjoy a potluck dinner. BYOB. This season highlight is not to be missed. Teams of jumpers compete for prize money during the Summer Hunter Jumper Show! Grab some fresh wood-fired pizza and grab a seat ring-side. The pinnacle of the driving season at GMHA is the CDE! The only one in New England. Distance Days is a 3-day celebration of equestrian trail riding. Competitive and pleasure riding are offered all 3 days with an incredible variety of distances. The weekend is built around the historic 3-Day 100-Mile Ride – the oldest and first in the U.S., now in its 83rd year. There are lots of fun extras – catered meals including a Welcome Banquet, amazing awards, t-shirts for all, a special Awards Ceremony with equestrian demonstrations and open house. NEHC and VHJA affiliated show featuring the Fall Hunter and Equitation Derbies on the Jump Field. Pull up and tailgate for a beautiful fall afternoon of foliage and derby rounds! This year’s Fall Foliage Rides will feature up to 5 full days of pleasure riding! We invite riders of all disciplines, ages, and abilities to join us for these opportunities to enjoy GMHA’s legendary trails at your own pace with your favorite friends, both human and equine.